Bollywood actress Raveena Tandon, whose next film Maatr deals with crime against women in society, says the clear intention behind making the film is to create awareness among the audience. She was present at the trailer launch along with the film’s director Aster Sayed and producers Anjum Rizvi and Manoj Adhikari. Raveena, who last appeared in a cameo role in Anuraag Kashyap’s Bombay Velvet, said she does not like the word “comeback” as she has become very choosy about her films. “I used to work in 30 films in a year during the early stage of my career. But now I have reached a point where I will do films that I completely believe in and I have no idea what I am doing next after ‘Maatr‘. So how many times should I make my comeback? I really do not like using that word,” the Mohra actress said. Maatr is all set to release on April 21. 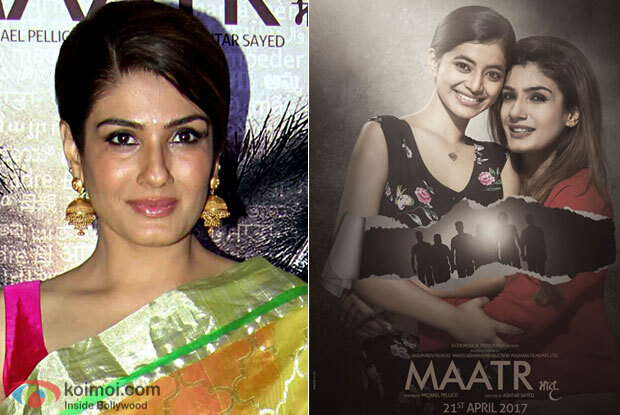 The post Raveena Tandon: Maatr Is Not Made For Commercial Success appeared first on Koimoi. Deepika Padukone’s Grand Success Bash!